Robert De Niro: Yeah, I’m Talkin’ To You! You work way too much. How else can you explain your presence in Freelancers, a low-caliber crime drama debuting today on DVD and VOD after a nominal theatrical release a few weeks ago? Did you really feel the need to work with master thespian Curtis “50 Cent” Jackson again after 2008’s worthless non-thriller Righteous Kill? In Freelancers, you again play a corrupt NYPD detective, only this time Fitty is your protegé rather than a drug dealer. And like Kill, which costarred fellow Corelone family member Al Pacino, Freelancers wastes another Oscar winner: Forest Whitaker, as your partner. True, you only have to do a few scenes this time, as the crooked mentor who keeps reminding Mr. Half Dollar of how much money he can make if he stays on the take. You leave the heavy lifting to Whitaker, whose mumbling acting style is far more effective than the eternally stiff Jackson’s. There are also a couple of Wire alums in the ensemble—Robert “Bunny” Wisdom and Andre “Bubbles” Royo—but this by-the-book inner-city drama is a far cry from HBO’s Baltimore-set classic. So why’d you do it, Bob? You surely don’t need the money. Are you just bored? Because you certainly look like it in this movie. And Freelancers is far from the only recent head-scratcher on your resumé. 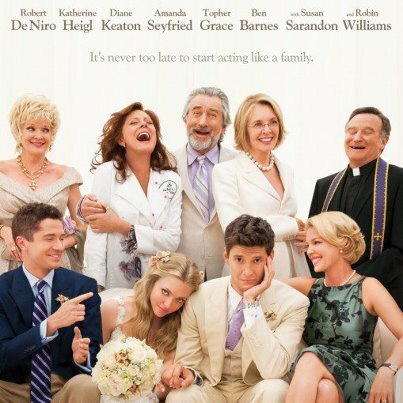 Let’s put the Fockers trilogy aside for now. Only God knows why, but those movies make a fock-load of money and keep you relevant as a box-office force. But what were you thinking joining the likes of Zac Efron, Ashton Kutcher and Katherine Heigl in Garry Marshall’s less-than-festive rom-com New Year’s Eve? Or playing a kidnapping victim rescued by Jason Statham in the run-of-the-mill Killer Elite? Or appearing as the aptly named Carl Van Loon in Bradley Cooper’s ludicrous Limitless? You make so many movies, Bob, that I can’t even keep up with them all. I wanted to see you as a psychic in Red Lights, especially after your costar Sigourney Weaver sang its praises to me, but it played on only one screen for two weeks in NYC before getting snuffed out. And you’ve got no fewer than nine films lined up for release in the next year. One looks promising—The Comedian, the portrait of an insult comic written by roastmaster Jeff Ross, directed by your We’re No Angels cohort Sean Penn and costarring Kristen Wiig—but can it top your turn as Rupert Pupkin in The King of Comedy? Or will it be another watered-down rehash, like when you played another NYC taxi driver in this year’s disappointing Being Flynn? What’s De Niro’s most underrated flick? Forget Mean Streets, Heat, GoodFellas, The Deer Hunter, The Untouchables and Analyze This. Anyone partial to Machete, Ronin, Brazil, True Confessions, The Mission or Bang the Drum Slowly? Post a comment!